Sam Dunbavin is a keen young player and level 1 coach and referee from North Devon under Denise Austin’s tutelage through the local club www.academyofbeachsports.org.uk. He has competed on the VEBT and JVEBT for 4 years, and competed for the South of England at an indoor level. Sam has been coaching at the Academy of Beach Sports since 2007, and has increasingly taken more responsibility in the club for different teams. Sam began working as a trainer for Beach Volleyball School in 2012, and has worked with a number of different ages of athletes. Sam specialises in strength and conditioning for volleyball, and loves to incorporate general conditioning into his coaching work. Began playing through the Devon Youth Games and became a junior leader and captain of the club junior indoor teams. Key member of the SW Junior Boys squads and also set for England South in the UK School games in 2012. 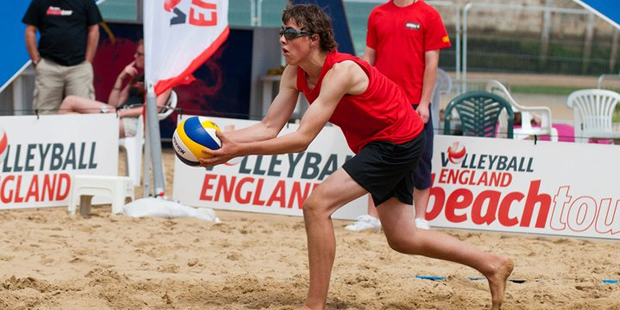 Member of the England Junior Beach Volleyball Squad and represented England for the Beach Academy in Austria at the ASVO Beach Trophy in Austria in 2014. Leader in dynamic strengthening and stabilization warm ups. He is also one of only 25 ONE Youth ambassadors who are fighting against poverty. Matt is one of my DAPA originals, he has been helping me grow my indoor and beach volleyball in its various forms and through this has become passionate about playing beach volleyball. He is currently a Level 1 Volleyball coach and has been coaching with The Academy of Beach Sports club for 6 years. He is one of the lead coaches for the junior section of the club. He has also led after-school clubs in North Devon Secondary Schools. Although he started his Children’s Physical Education degree at the University of St Mark and St John in September 2012, he still actively involves himself in North Devon Volleyball. 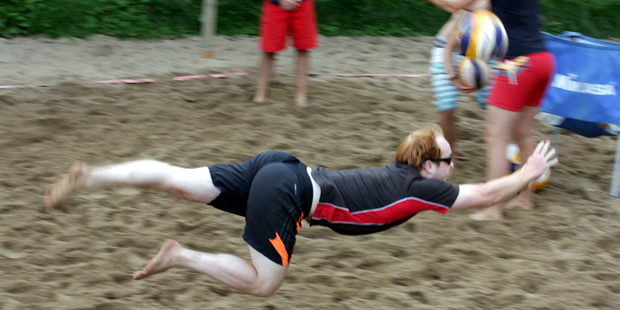 He currently coaches within the Plymouth Mayflower Volleyball Club. Matt has also been heavily involved with Petroc College Volleyball Academy. In 2010, 2011 and 2012, Matthew helped his college male team to BCS National Championship bronze medals. In 2011 he also won the BCS knock-out Volleyball Male Cup with his team. He was the male volleyball team captain in the 2012/13 season and in the most recent National Championships he returned to the College set-up in the form of an assistant coach to help the male and female team to silver medals. He plans to undertake a UKCC Volleyball Level 2 Coaching qualification in 2014/15 to enhance his coaching opportunities.